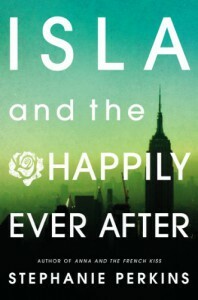 Isla and the Happily Ever After - . One of the most beautiful books I've ever read. We've all been anxious for this final book in the Anna series. Anna has always been at the top of my favorite YA list, one that that I recommend to everyone. I was nervous going into Isla, worried that it wouldn't live up to my expectations. And then I was blown away. It was beautiful and perfect. I was so conflicted when I finished because I was full of so much LOVE and happiness for Isla and Josh, but so sad their story was over. Stephanie Perkins knows how to execute the perfect book - the setting was wonderful, taking us back to Paris. Isla and Josh were perfect. 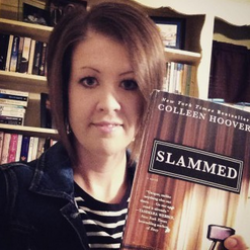 There's just enough drama to keep you reading and wanting more. But it was how real this story felt - their slow journey to finding themselves and falling in love was incredible and beautiful. I wanted to cry and laugh and just hug my Kindle because I adored these two SO much. This book was worth the wait and is the definition of a perfect YA novel. There's not much more I can say that hasn't already been said, except this is a must read!